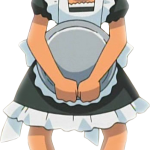 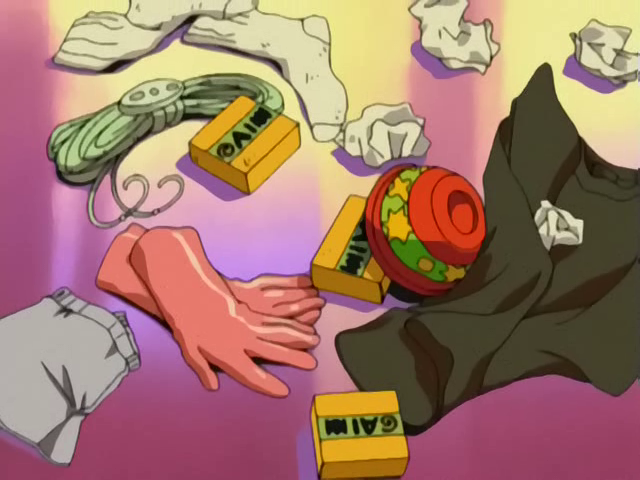 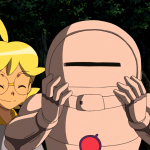 Delia taught Ash to do the laundry before he left, in fact he has got with him the pink gloves useful for this purpose. 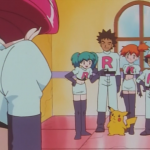 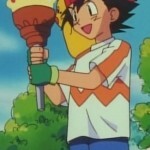 Also, Ash has repeatedly claimed to have extra T-shirts (that have been seen also in the same animated series), some identical to each other, other slightly different. 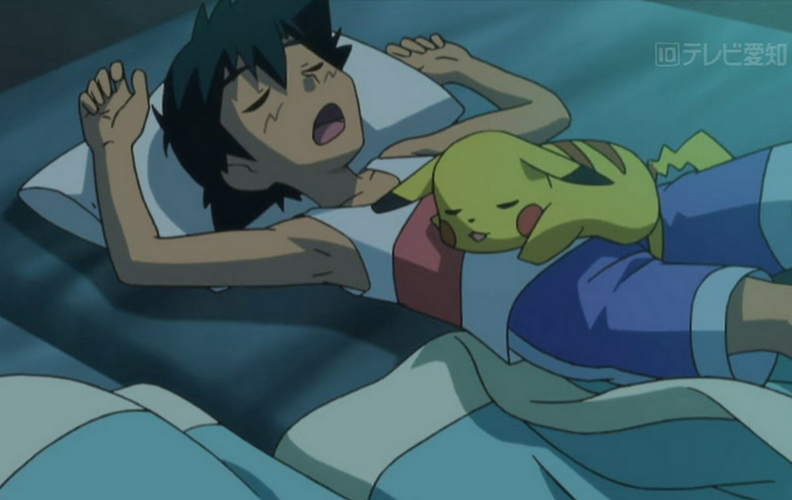 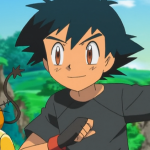 Ash has also stated that he takes a shower or bath every day (or at least every time he comes to a Pokémon Center). 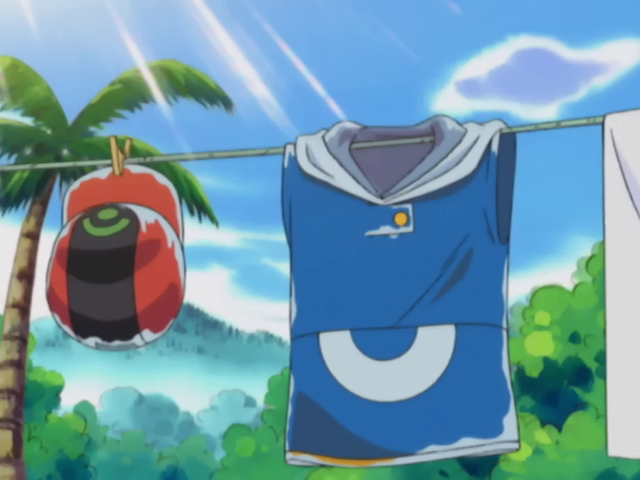 If he is stuck into a forest or places like these for days, obviously, he has no chance of having a decent wash, but, however, every day he changes his underwear and socks. 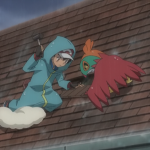 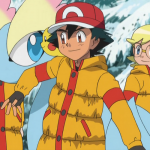 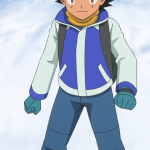 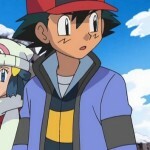 During his travels, Ash had to go through many different places and in different seasons of the year, so, sometimes he had to go through perennially ice-cold ,or snow covered areas in winter. 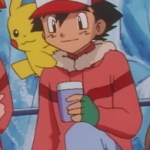 In these cases he had to wear coats. 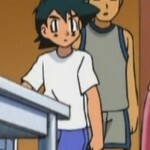 Ash hates wearing pajamas. 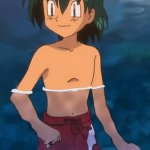 This is characteristic of him si nce he was a child, when his mother was always angry because he tended to go sleeping without wearing it. 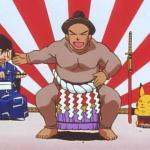 In the first series he was wearing pajamas several times, when he was at home or at least in presence of his mother. 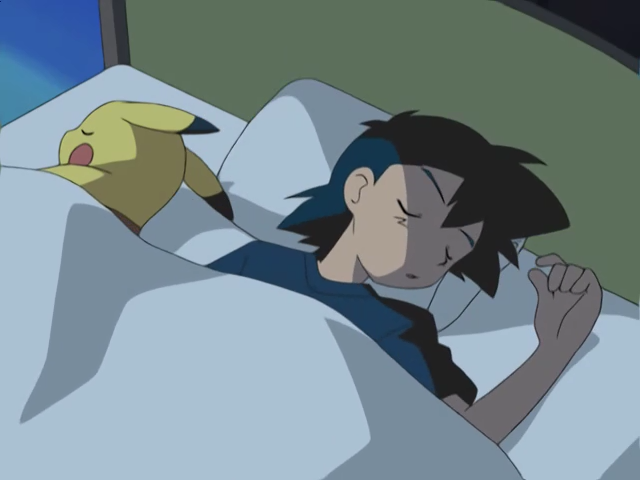 Instead, during the journey, he always slept with his clothes, removing the jacket and staying in t-shirt and pants (mainly for practical reasons, since it often found himself camping). 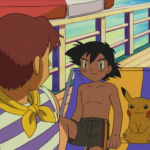 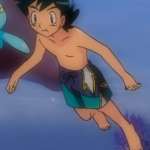 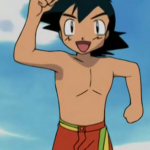 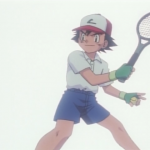 Since the half of the Diamond & Pearl series, Ash decided to wear a pair of shorts he bought especially for warm nights. 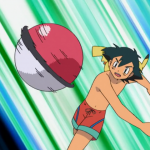 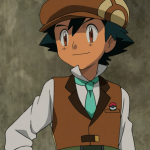 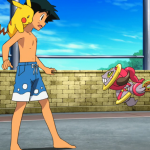 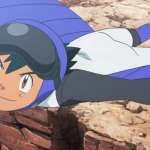 Currently, in the Kalos region, He decided to use even a tank top, in addition to shorts. 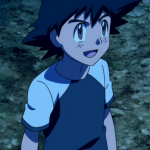 However, as seen at the beginning of article, he also brings different types of t-shirts, with whom he sleeps in cooler nights. 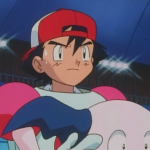 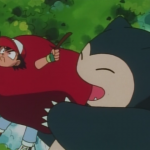 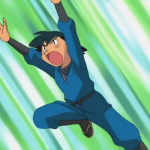 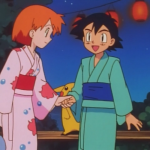 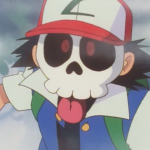 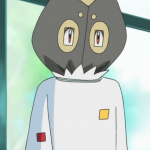 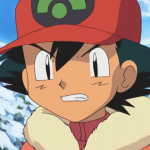 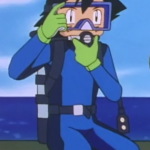 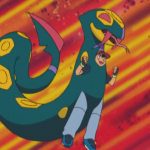 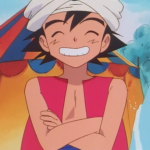 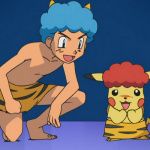 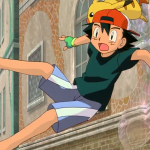 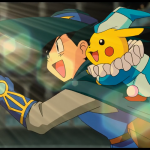 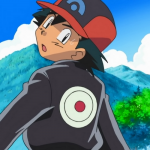 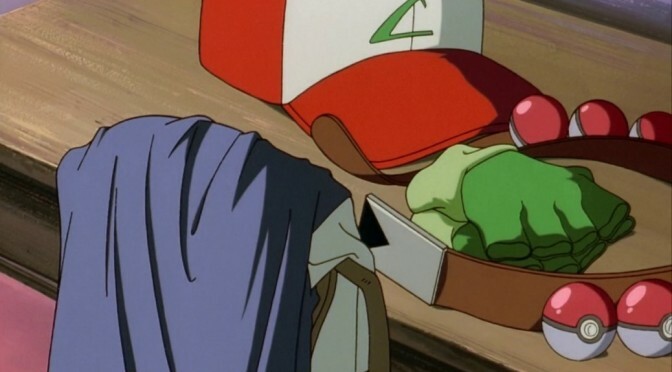 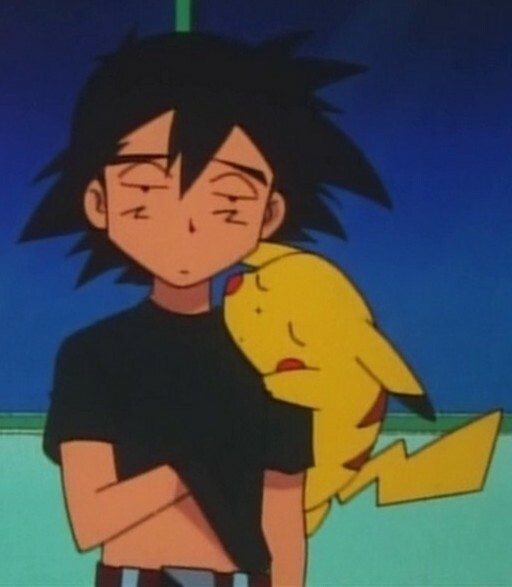 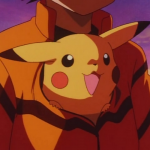 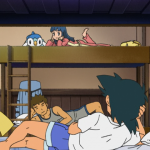 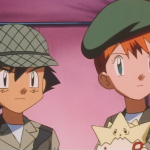 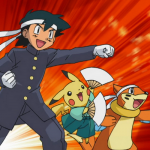 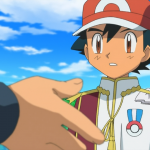 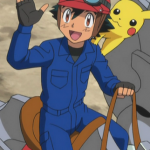 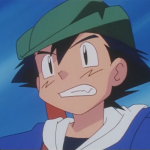 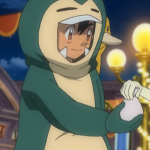 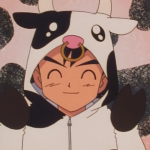 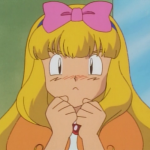 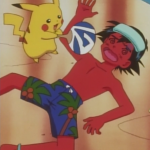 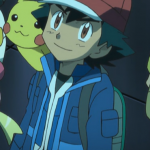 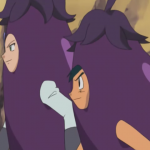 Ash has always been the protagonist of several funny gags, in which he has found himself, against his will, to disguise himself as a Pokémon, food … and even girls! 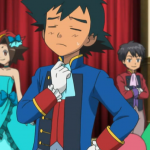 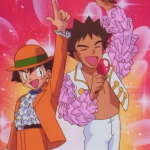 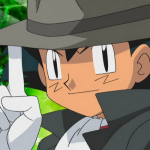 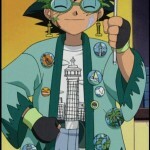 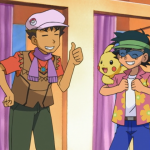 As we know, Ash is a great prankster, so occasionally he likes to put on masks or absurd disguises to play jokes on his friends… sometimes with Brock as an accomplice!